We envision vibrant Seventh-day Adventist campus ministries and student leaders on all non-Adventist colleges and universities and financially support the development, equipping, and empowering of Adventist campus ministry leaders and ministries on public college and university campuses. Funding initiatives to develop and provide workshops and training materials for college students, campus ministers, and churches. Funding ministry events for college students. 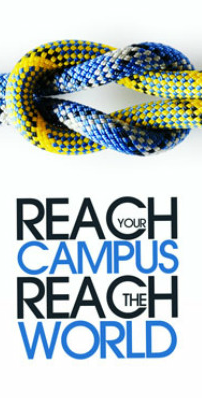 Providing scholarships for students training to be leaders in campus ministry. Funding training and ministry opportunities for campus chaplains and interns. Assisting Adventist churches and conferences in the acquisition and maintenance of property to develop a long-term ministry presence on non-Adventist campuses. ARC works independently of, but in partnership with, Adventist Christian Fellowship, the umbrella organization for public college ministry for the North American Division of Seventh-day Adventists. We welcome all who love students to join us in fulfilling our mission. @2016 Advancing Resources for Campus Ministries. All rights reserved.